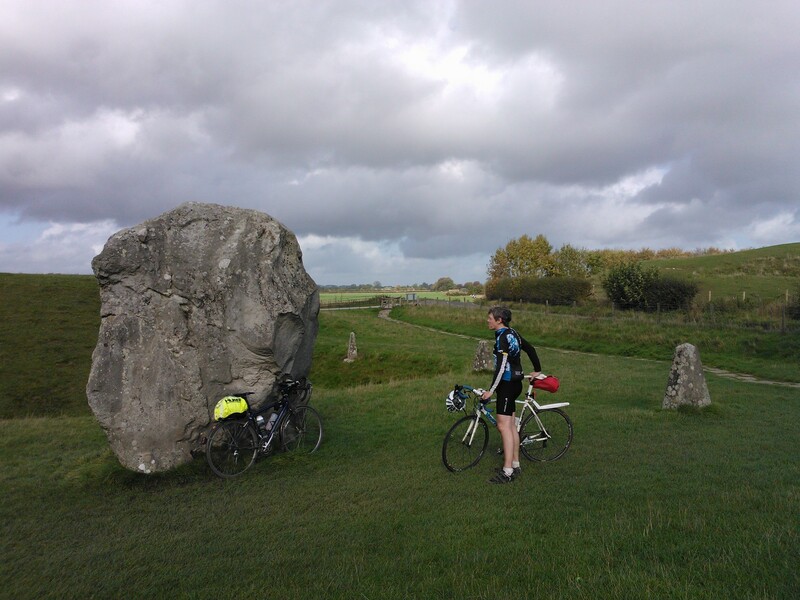 Planning a gentle weekend ride with an old cycling friend escalated into a 200k audax to Avebury a standing stone counterpart to Stonehenge. We made good time and had a nice lunch at the Red Lion pub. There were some terrifying crosswinds to contend with on descents and a really strong headwind just at the halfway point before we had lunch. Fortunately Dave took the brunt of the work at this point as I was flagging. 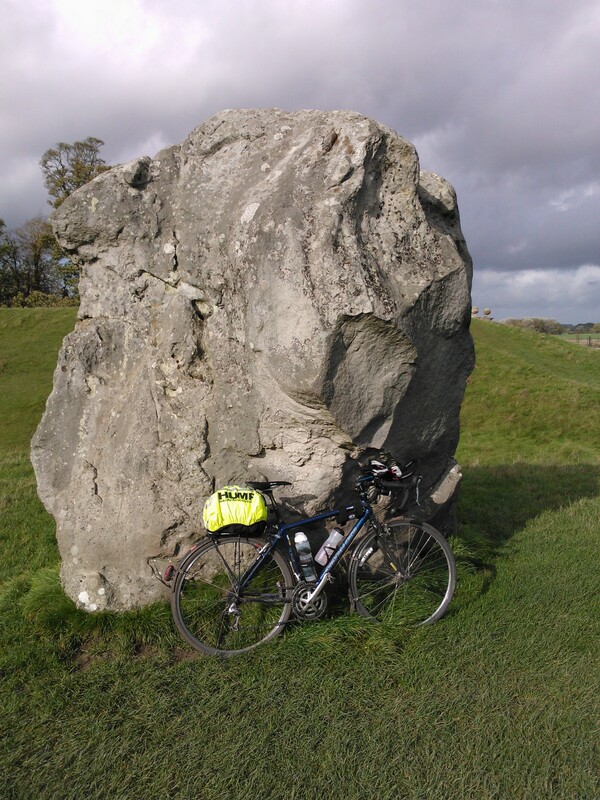 The A4 from Avebury to Marlborough was brilliant with a tailwind, I must plan it into more routes because it’s nice and wide so no traffic trouble. This is in contrast to a completely ballsed up pass by an SUV on a blind bend. I could see the traffic coming the other way so had time to brake before they swerved into the space I had been occupying very narrowly missing Dave’s back wheel. They then failed to engage gears when trying to pull away. We kept within a 100 yards for a few minutes showing the futility. After turning off the A4, we got hit by a short but very intense shower which was like having a hose on us. By the time I stopped and got my coat out of my bag I was soaked! Disappointingly, suffered with saddle sores despite the radical plan of taking a spare pair of shorts and going through a cycle of padded Lycra, baggy with pad then baggy without pad. So back to the drawing board on that one as none seemed particularly preferable. My right hand also suffered a little with numbness and soreness between thumb and forefinger. I noticed however that the hood is in a slightly different position from the left hand so that could well be the cause. I also suffered psychologically because of an incredibly rattly bike. I checked over the rack bolts on the road and nothing seemed loose, but I reckon I was scaring livestock on some country lanes. Passed out in the evening and had a long lie in, so these things are clearly still not a breeze. Much easier than my first 200 though. Tomorrow morning will show what you’re made of.